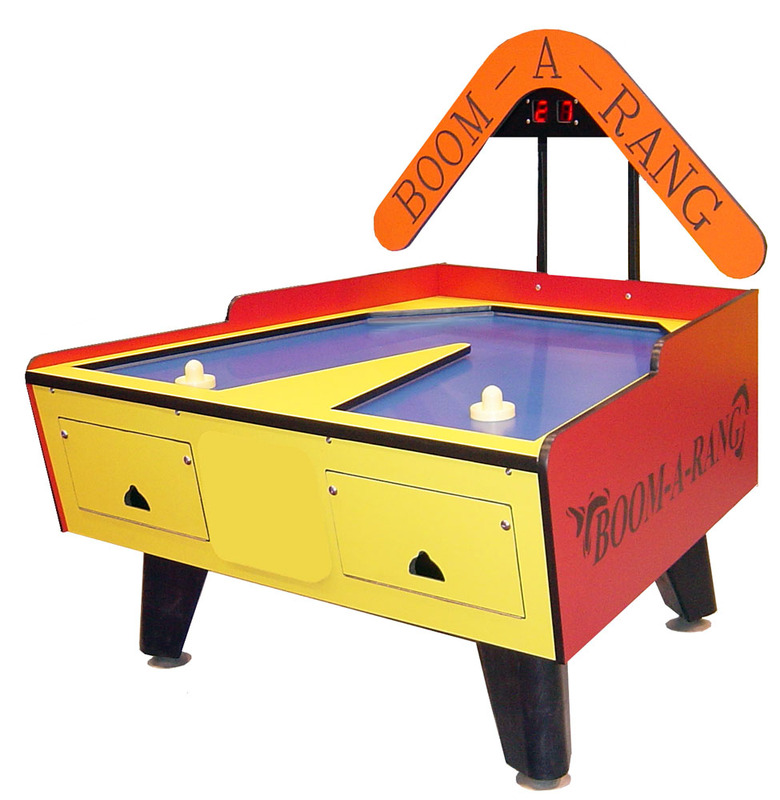 Dimensions 51.5W" x 60L" x 31.5H"
The Boom-A-Rang air hockey table has an eye catching design and side-by-side play for a new twist on air hockey. With its New design incorporating space saving footprint (5 sq. feet), it can fit against a wall, corner, or back-to-back with another. Wide goals promote super speed action. All around oversized rails help prevent puck from flying off the table. It's also easy to clean with a formica playfield with long-term wear-guard finish. -Dimensions: 51.5W" x 60L" x 31.5H"